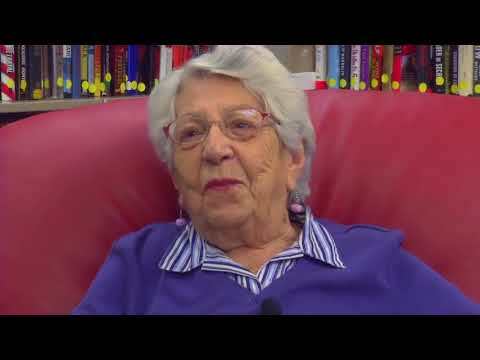 LOS ANGELES, Dec. 21, 2017 /PRNewswire-USNewswire/ -- To celebrate the New Year, the Los Angeles Jewish Home has produced an inspiring new video featuring seniors sharing their resolutions. The resolutions vary widely, with some focused on exercising more, stopping smoking, making new friends, or finding ways to control their anger. Nearly all, however, share at least one resolution in common: to live in the moment. Most of the residents of the Jewish Home have discovered the key to longevity is living in the moment—and enjoying it. This optimistic outlook is embraced by the centenarian and near-centenarian residents of the Home. Could such an optimistic outlook lead to a longer life? According to a series of studies from the U.S. and Europe, the answer is yes. Optimism helps people cope with disease and recover from surgery. A positive outlook also has a positive impact on overall health and longevity. To view this new video from the Jewish Home, please visit http://www.lajh.org/news/videos/new-years-resolutions-from-our-jewish-home-residents. Says Molly Forrest, CEO-President of the Los Angeles Jewish Home, "Seniors at the Jewish Home inspire us with their desire to improve their lives and the lives of others. We wish them all the best in 2018." For information about the residential care, home health care, and many other community services of the Jewish Home, call 818.757.4407 or visit www.lajh.org. Founded in 1912, the non-profit Los Angeles Jewish Home is among the largest providers of senior healthcare services in Los Angeles. Through its innovative Connections to Care® program, each year thousands of seniors benefit from the Home's community-based and in-residence programs. Community-based programs include: A Program of All-inclusive Care for the Elderly (PACE); hospice; home health; palliative medicine; community clinics; short-term rehabilitation; and acute psychiatric care. Our Reseda campuses serve seniors with options for independent living, residential care, skilled nursing care, short-term rehabilitation, and Alzheimer's disease and dementia care. The Home's Gonda Healthy Aging Westside Campus in Playa Vista offers independent living and access to assisted living and memory care, if needed. Further information regarding the Jewish Home can be found online at www.lajh.org or by calling 855.227.3745.